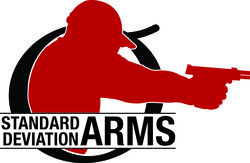 Perfect For Carry, IDPA and IPSC International Box! These baseplates are CNC machined from billet aluminum and are uniquely designed to ease the installation and removal of the baseplate to the STI/SV 2011 mag body. In addition, they do not add capacity and each weigh less than 1 oz., making them legal for USPSA and IDPA competition. Carry/International Box Basepads for STI/SV. Great for Carry, Fits in IDPA, IPSC Standard and Modified Box Rule. The DP basepads do NOT add capacity and are very ergonomic for carry application. They fit the IPSC box rule requirement. Black. Perfect for use with 10-round magazines or 9mm mags with spacers!